This coming February 28,2013, M.A.Y. FASHION ONLINE SHOP will re open for their dear clients! so much are to be awaited on the said event..
We all know we love our gadgets like our babies,we dress them up and protect them as well. M.A.Y. online shop is the right choice when it comes to this looties!! :) As you can see, bumpers,metallic and rubber cases,glitter and aztec skin protectors are to be catered to those gadget junkies out there! oh did I mention that they also have a variety of designs and styles to choose from? Yes! they have,and not just its stylish,but its durable as well. Loving those aztec print protectors! Ill be getting one to myself! What a great way to flaunt your baby with these earplugs with a cute celine bag tassle!! soo cutey!!!! Pair them and be fabulous! Our gadgets is also a part of our daily lives..and for me,its also a way on expressing who we are. Don't you just notice it? People who are girly in fashion has a girly style on her gadget too! For rocker chicks,they have those black,studded, and skull designs for their babies! So that is also like in fashion ,we have our own styles and picks to flaunt. and I'm sure this shop will definitely cater all of your needs when it comes to gadgets..And here is the best thing! Prices are soo affordable!! 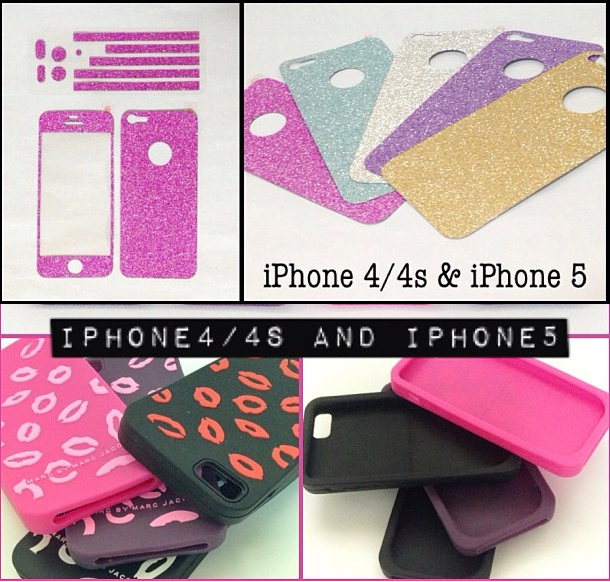 skin protectors for iphone 4/4s and 5 are 100 to 200 pesos only. 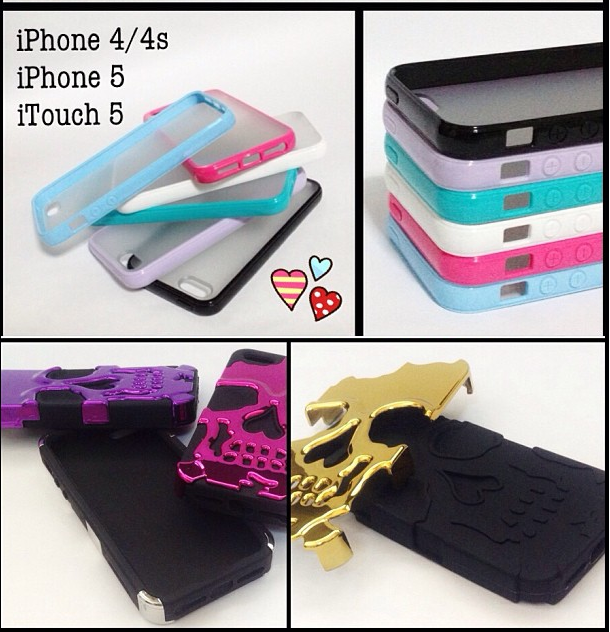 assorted cases for iphone 4/4s and 5 are 200 to 300 pesos only. and ipad mini cases ranges from 500 to 600 pesos only! Just AMAZING! gorgeous gadget accessories for super affordable prices!! So come and join us in the relaunch of M.AY. online shop! excited much? yeah I'm too! see you all on the 28th of February! :) ciao!